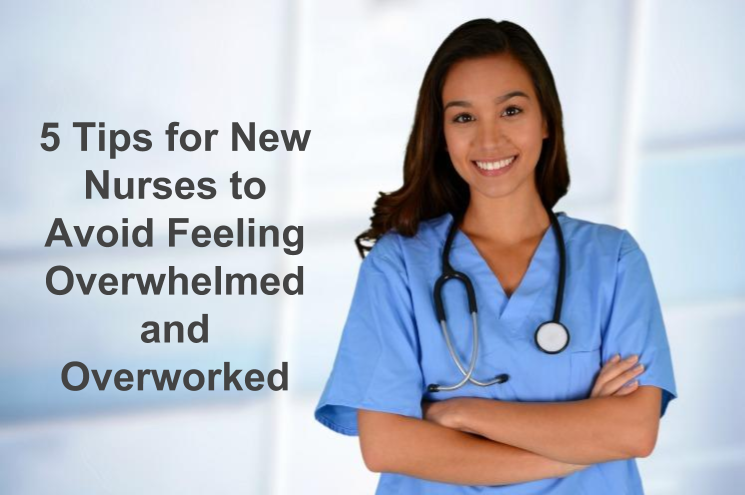 As a new nurse, it’s relatively easy to feel overwhelmed with the job. Transitioning from books to actual patients is not as easy as it sounds. Aside from feeling pressured to deliver well, the fast-paced environment can make you feel the need to catch up. Unfortunately, working fast doesn’t always mean quality work. It can also make you question if you’ve taken the right path. Trust me, I’m with you on this one. To beat your self-doubt, it’s a wise move if you can work at your own pace. It doesn’t necessarily say that you have to work real slow but starting out with what you know, particularly during an emergency, can make you an asset rather than the team’s liability. It can also help you build more confidence to tackle on complex tasks as you continue to learn. “I prefer new nurses who step on their game. However, if you’re not thoroughly acquainted with that defibrillator yet, I’d like you to let somebody else do the job if we have an emergency. Any delay can cause us our patient’s life. We can always do the orientation at another time,’ an ER head nurse said. 2. Go to work prepared. One of the things that can make you feel overwhelmed is the idea that you “may probably not complete a task correctly.” Instead of always worrying, it can help if you prepare beforehand. Graduating nursing school and getting your license don’t mean you can stop studying. Reviewing your notes and researching about a topic you’re not thoroughly familiar with can help ease your nerves the next time you encounter the same task or case. 3. Do not give up just yet. The pressure of working as a new nurse can be too much to handle. As a matter of fact, it’s one of the most frequent reasons why they quit their jobs. If ever you’re feeling this way, I suggest you hold on. It took me several months before I was comfortable with my work as a Delivery Room nurse. There are a lot of things that can affect how fast or slow you adjust to your working environment. These can involve the people you work with, your unit, your patients, and the general working atmosphere. Once you get comfortable with these things, you’ll just probably laugh at yourself for all the unnecessary things you’re worrying about today. One of the best ways to beat stress is to relax. Not de-stressing, particularly after a very busy shift, can make you feel burnt out and unhappy about your work in the long run. To help you stay motivated, it’s best if you can find an activity that you like, such as biking or even taking cooking classes. It doesn’t have to be an expensive hobby. As a matter of fact, getting a good rest or taking a short walk in the park can help you stay happy with your work. 5. Find passion in what you do. As most people say, nursing is not just a profession, but it’s a calling. Not everyone feels compelled to serve other people as much as we do. If your heart and mind are not in tune with this calling, it’s easy to lose interest in the job. To be an experienced nurse, you have to find the passion for the work you do. There are a lot of subspecialties within the profession in which you can explore. If you’re comfortable with kids, it can help if you get a job that deals with pediatrics instead. In case you like teaching, you can work on being a clinical instructor. Being a nurse doesn’t necessarily mean you’re limited to hospital work.